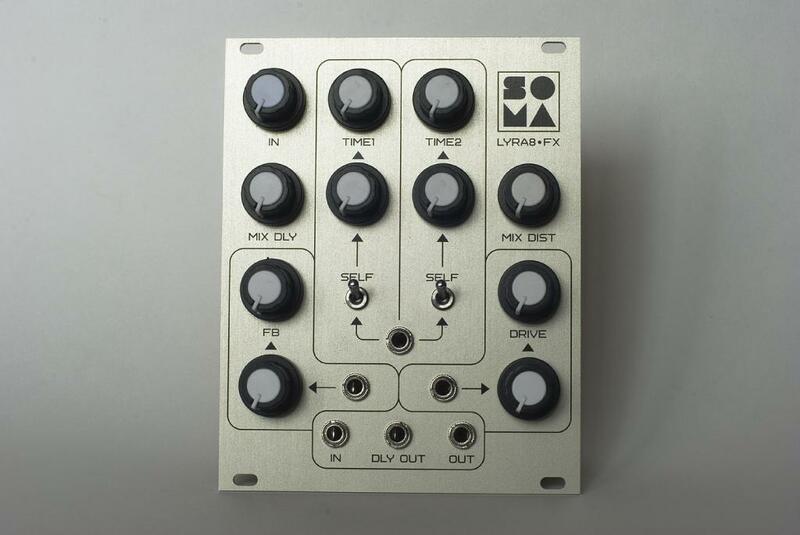 SOMA Laboratory is a young Russian company, quite popular recently in the ‘indie synth world’ for their LYRA4 and LYRA8 ‘organismic synthesizers’. These synths are very peculiar beasts, ideal for soundscapes (BBC Radiophonic, anyone?) and sound design. Today Soma Laboratory announced the LYRA8-FX,a Eurorack module inspired to the FX section of the LYRA-8, expanded with CV controls. In the maker’s words “it contains a double modulated lo-fi delay with cross-feedback and the unique possibility of self-modulation, where the delay output signal modulates its own sample rate. Also, it packs a parallel distortion with CV control of the drive. The distortion is after the delay. Estimated net price (without VAT, shipping, customs, money transfer expenses): 190-220 Euros. SOMA expects to start production within 2 months. You can pre-order LYRA8-FX now. To learn more visit the company’s website.